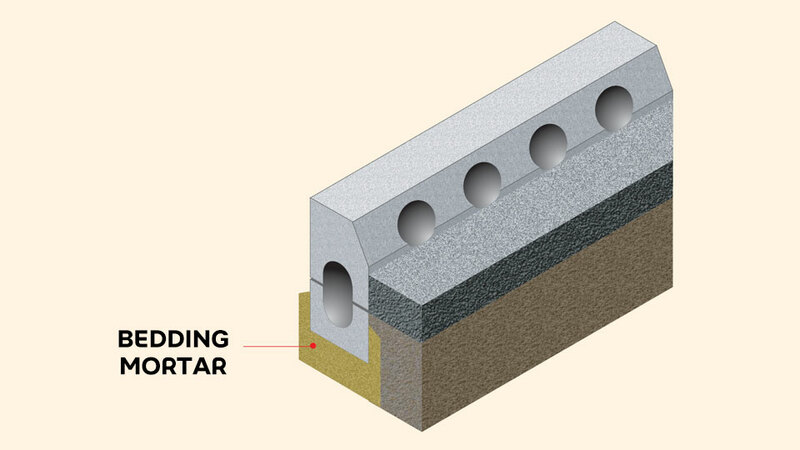 Precast kerbs can be glued together with a special structural adhesive available from Weber. Also intended for the highway maintenance crew’s armoury are ultra quick bedding mortars that can be mixed and applied to minimise traffic disruption. Precast kerb units can be damaged, dislodged or broken by vehicle traffic. Often, kerb units are dislodged by vehicles striking the kerb units. Heavy-duty kerb units and drainage units can be dislodged by accidental wheel loading. The existing sand/cement bedding can break up under traffic loading, resulting in settlement. Often, the bed thickness is limited on bridge decks and conventional sand/cement mortar is unsuitable. Use resin-based bedding mortars for reinstatement of heavy-duty drainage units to comply with Highways Agency guidance. 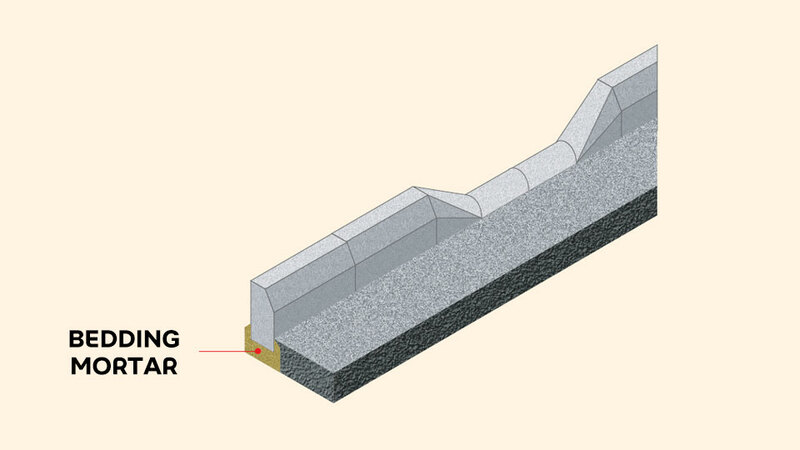 For precast kerbs, use a shrinkage-compensated, rapid-setting, cement-based bedding mortar to comply with HD27/94. For precast kerbs, use webercem pyrabed bedding mortar.